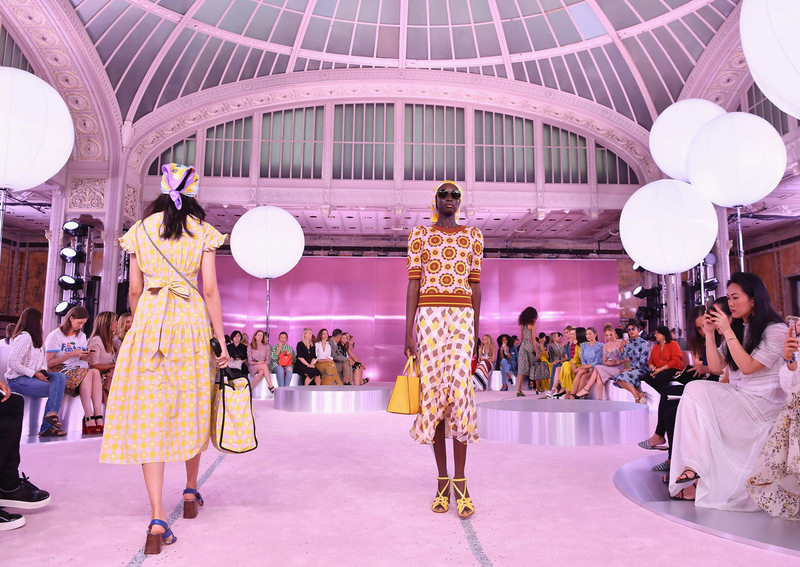 Kate Spade put the sparkle into New York Fashion Week on Friday, paying tribute in a riot of colour to the handbag brand's founder, three months after her tragic death. Silver glitter ran down the centre of the pale pink-carpeted runway, a nod to the woman whose brand has been synonymous with a joyful outlook on life since its founding in 1993. "Even though she hasn't been here for over 10 years, her spirit's definitely still here at the company," Glass, a former Gucci handbag and jewellery designer who previously worked at Michael Kors, told AFP. The collection was rooted in the brand's DNA: colour, fun, joyfulness for spirited women, sophisticated and feminine, yet wearable from day to evening. "She's a woman who, I think, is in love with life and has a sense of purpose," said Glass. "It's more of a mindset than a demographic." Coach (now Tapestry) bought the label in 2017 in a deal worth $2.4 billion. Spade ceded a majority stake in 1999 and sold her last shares in the mid-2000s for another $59 million. Glass never met Spade in person, but hailed her as a role model woman, entrepreneur and designer. "I think she really encouraged women to have fun with fashion, and that it wasn't intimidating, that they could express themselves," Glass said. Spade committed suicide in her Park Avenue apartment on June 5, after battling with depression and anxiety for years despite a dazzling career that made her the darling of American career women. "There was a moment when you couldn't walk a block in New York without seeing one of her bags, which were just like her: colourful and unpretentious," Vogue editor-in-chief Anna Wintour has said. The American founder of the global lifestyle brand Tory Burch evoked similar cheer, unveiling a collection, imbued with the memory of her wealthy parents and their Mediterranean cruises. The clothes were inspired by their steamer-hopping trips from Italy to Greece, and from Spain to Morocco, full of contrast from Cyprus lace to North African djellabas and flamenco flounces. There was also a Burch version of the safari suit, evoking the spirit of French master couturier Yves Saint Laurent, who famously reimagined this most practical of desert attire. If colour is warming the hearts of troubled times in Donald Trump's America this fashion week, Rihanna favourite Matthew Adams Dolan went vibrant if utilitarian and unisex to a soundtrack of thumping techno. His clothes were oversized, with giant pockets in fluorescent yellow, blue, fuscia, green and his trademark denim, which brought him to Rihanna's attention and through whom he found fame. In a rare nod to femininity, denim dresses were short and ruffled, but wide-cut pants were strictly XXXL on the slender models.